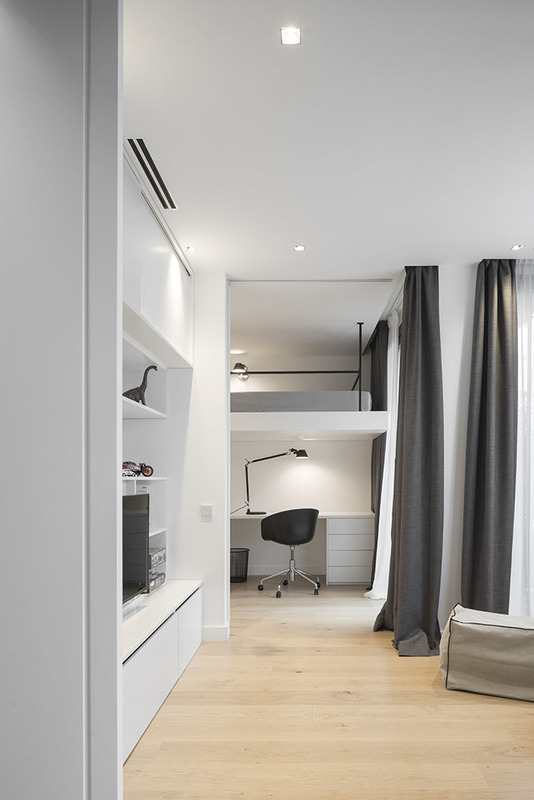 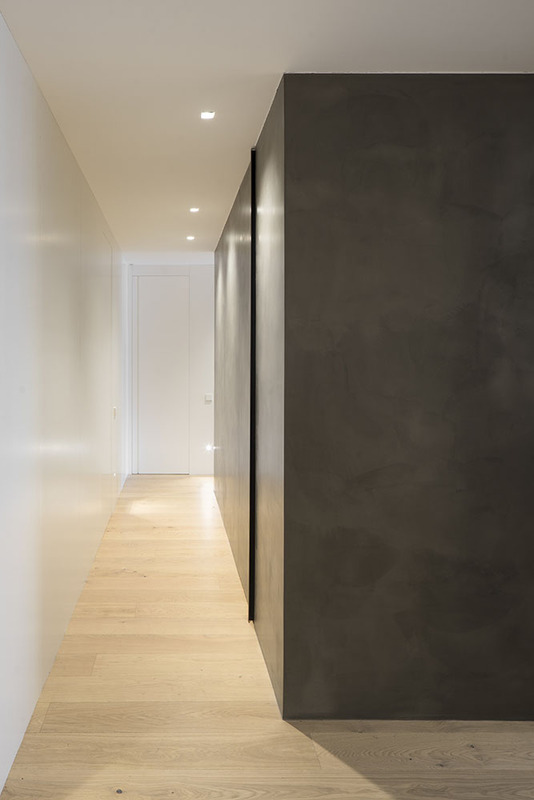 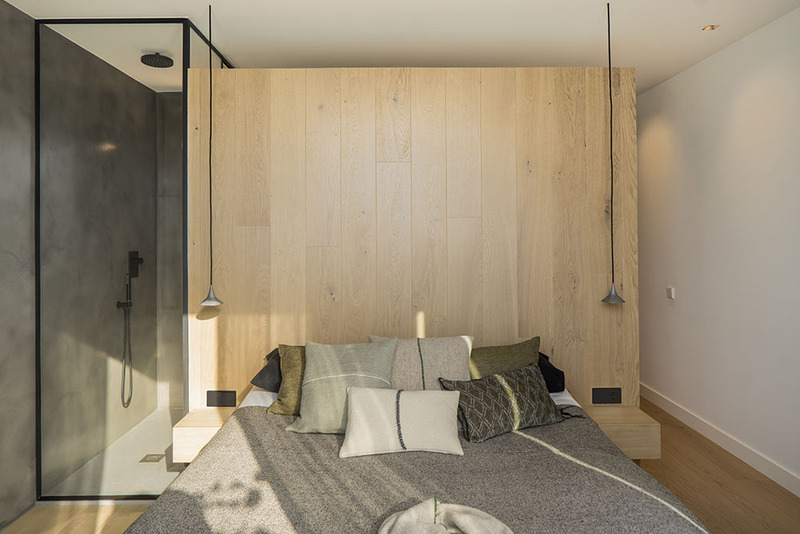 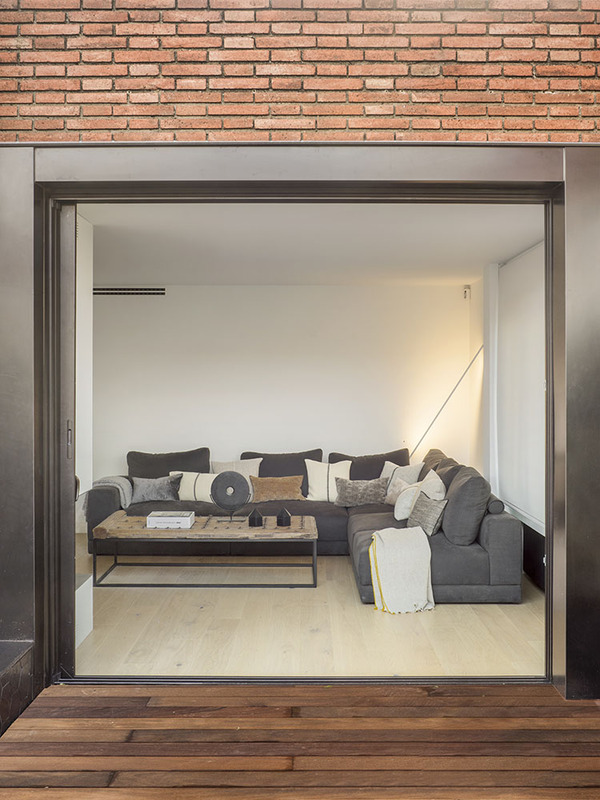 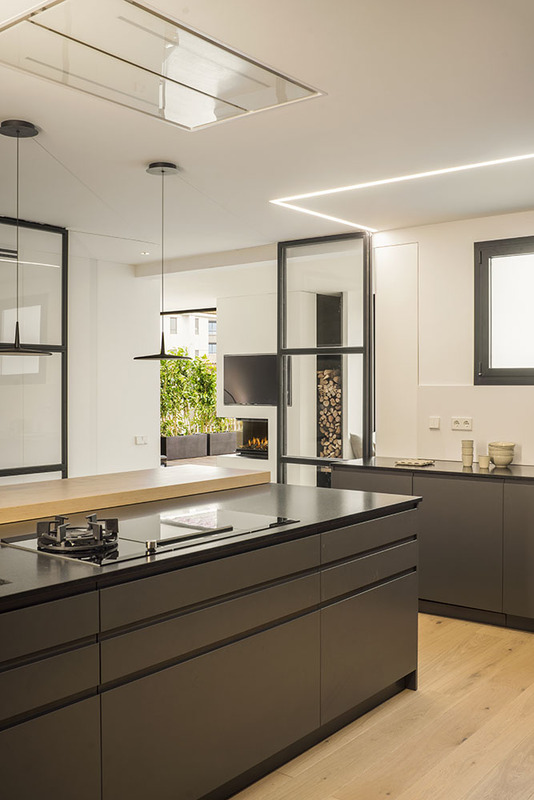 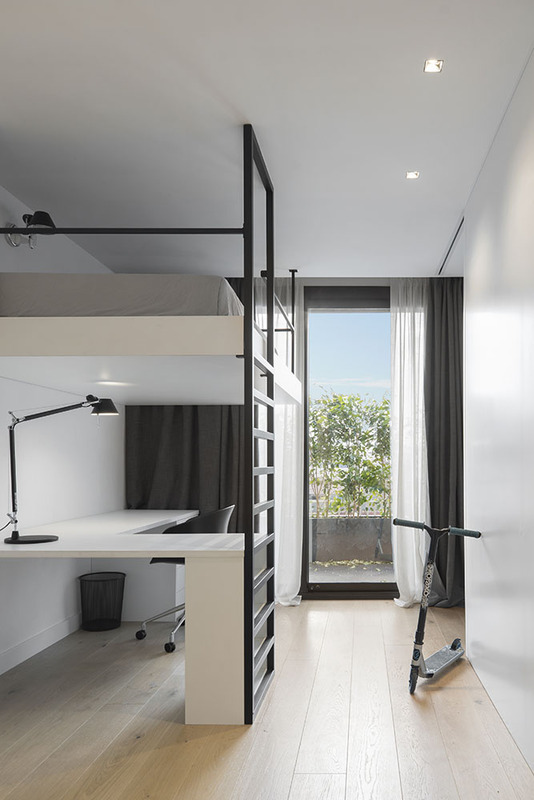 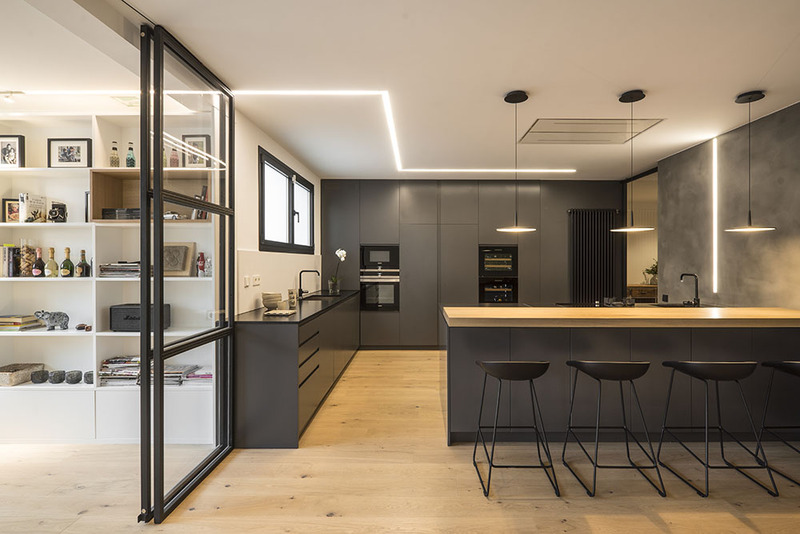 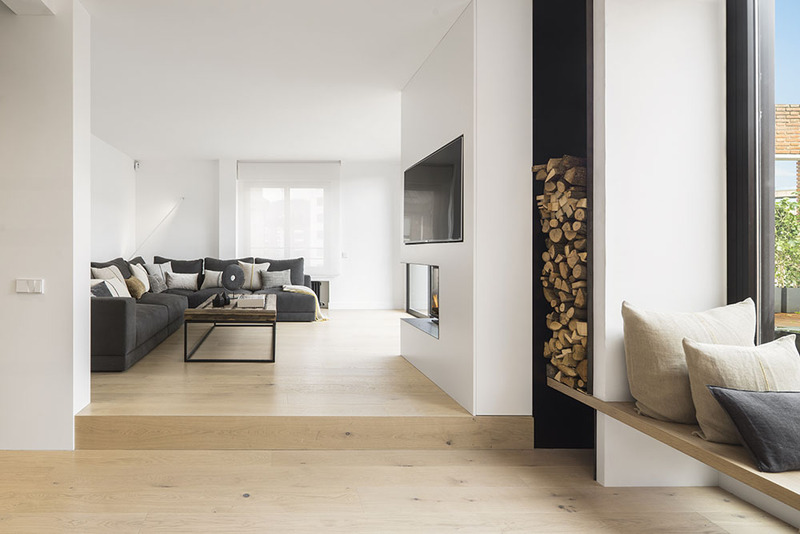 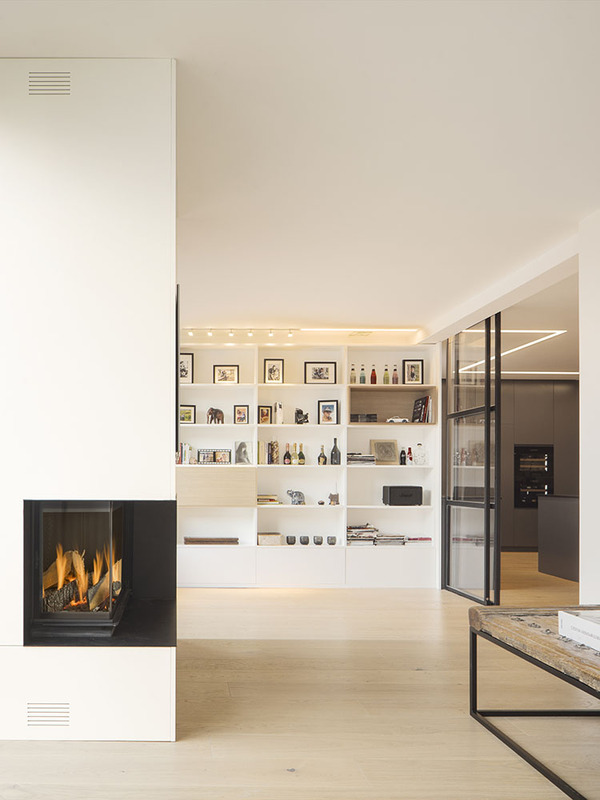 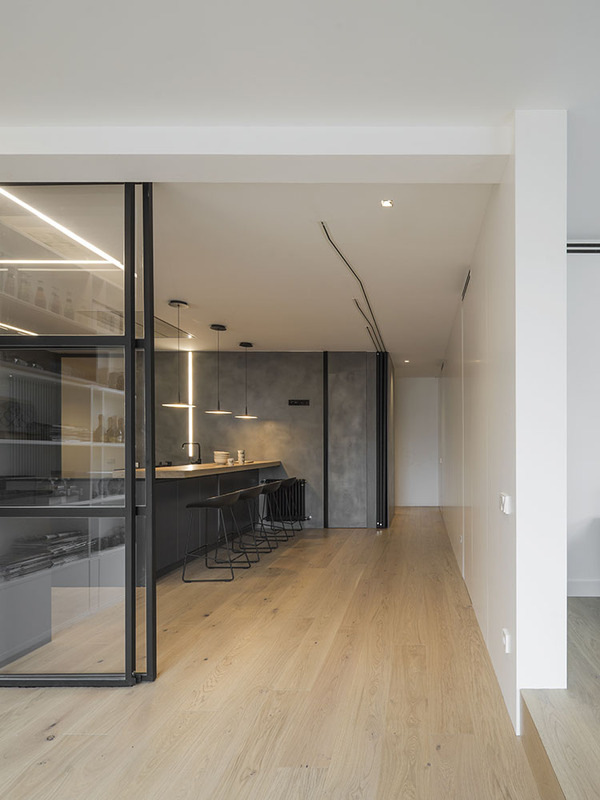 The starting point is an easily reconciled oxymoron: a dark penthouse located in a busy part of Barcelona that desired a much more open and active internal transit. 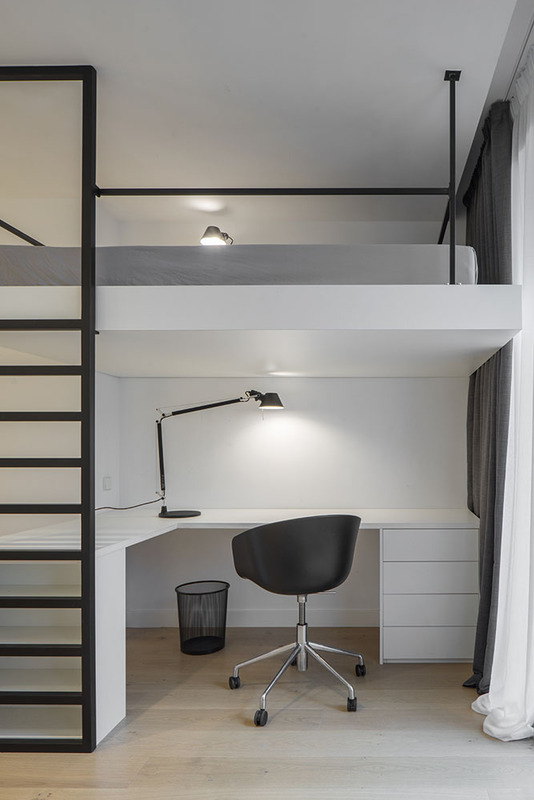 And above all… tons of light. 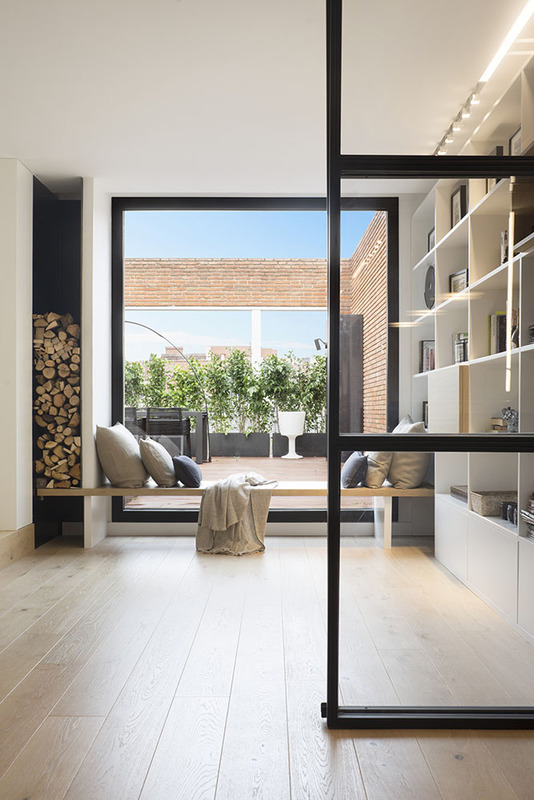 So we opened generous windows on the patio and towards the street and the space was flooded with a light that we began to fill with symmetries and cubes. 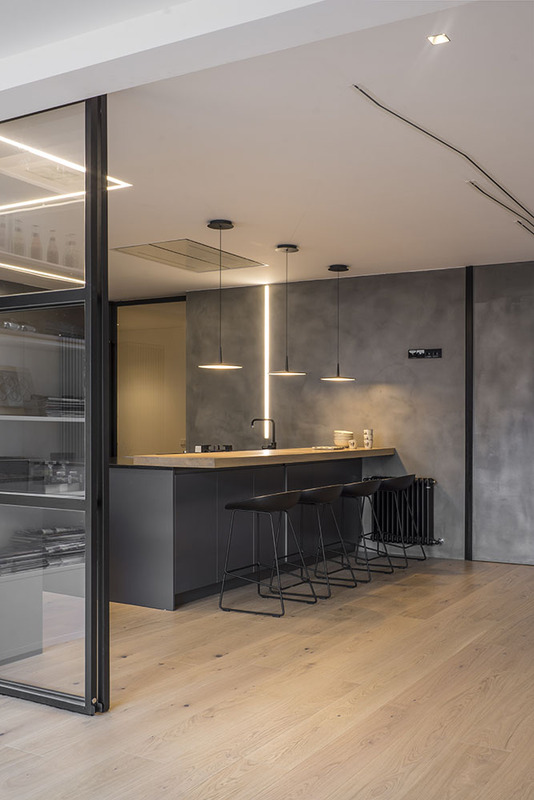 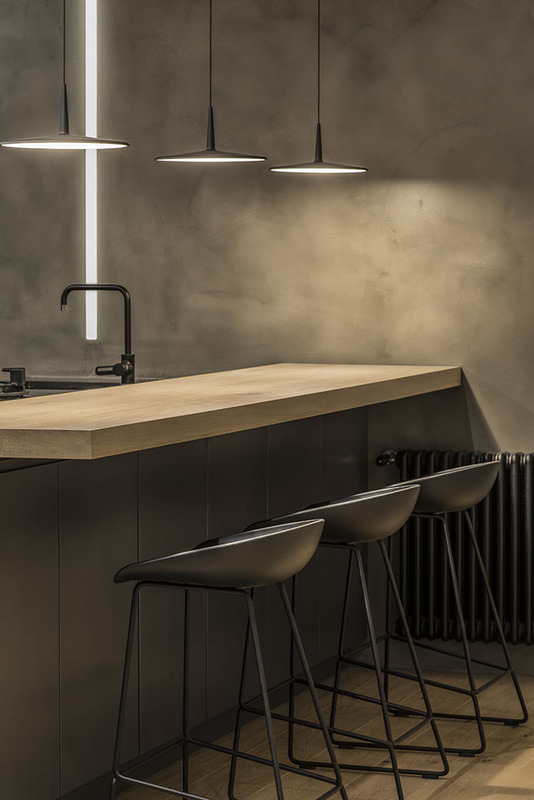 The pièce de résistance of this approach is undoubtedly the kitchen, designed to lodge a transparent core of social and family life. 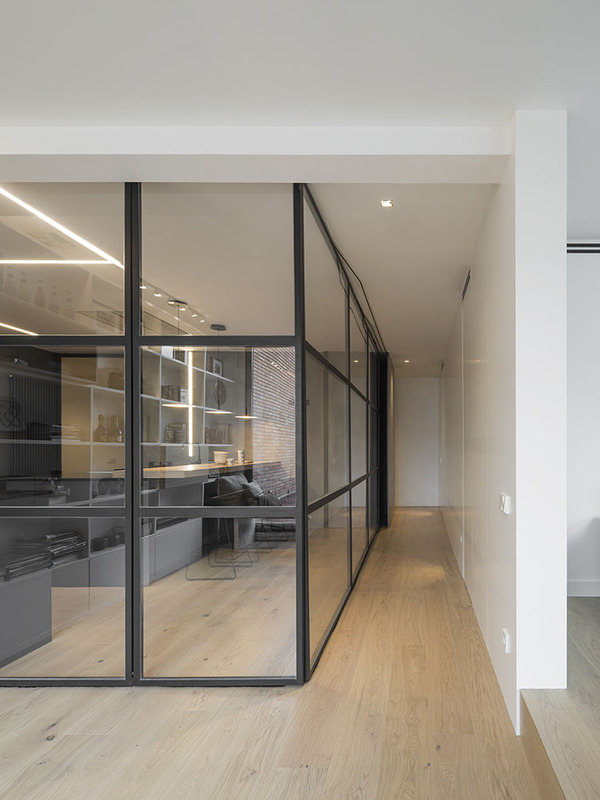 It is contained in a glass cube with mutually aligned sliding glass doors that symbolise aperture. 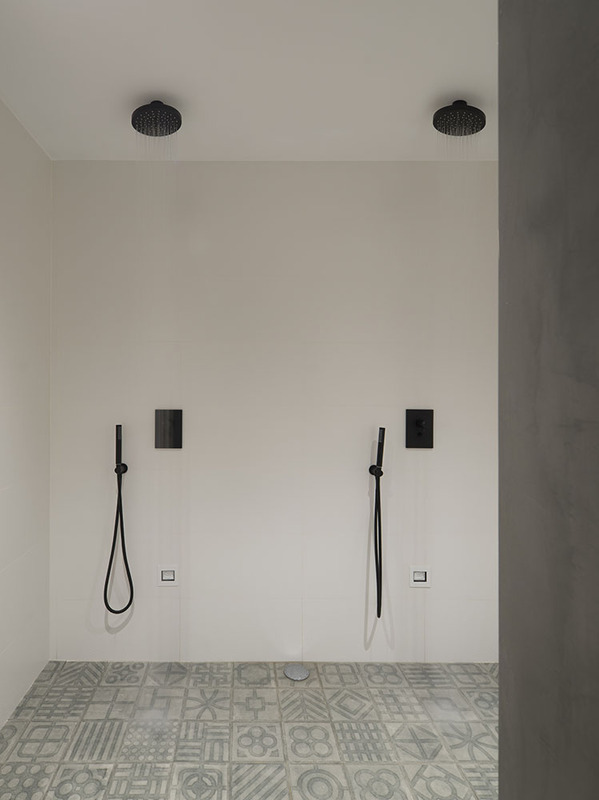 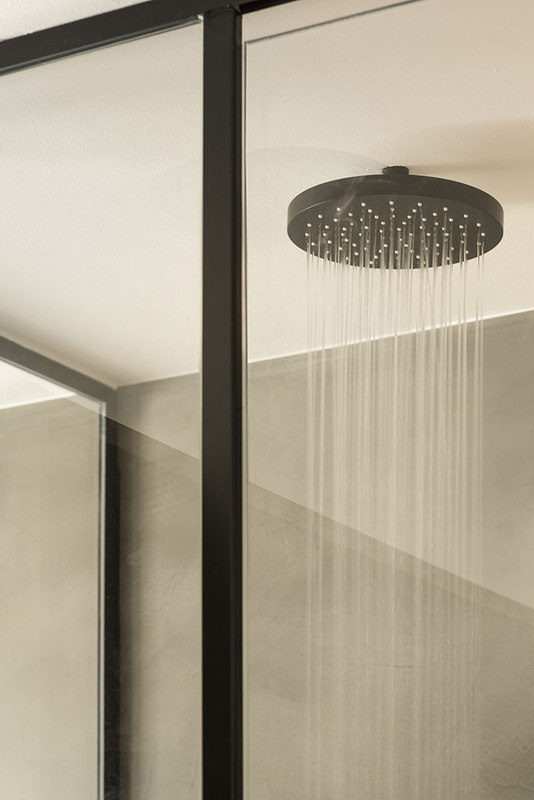 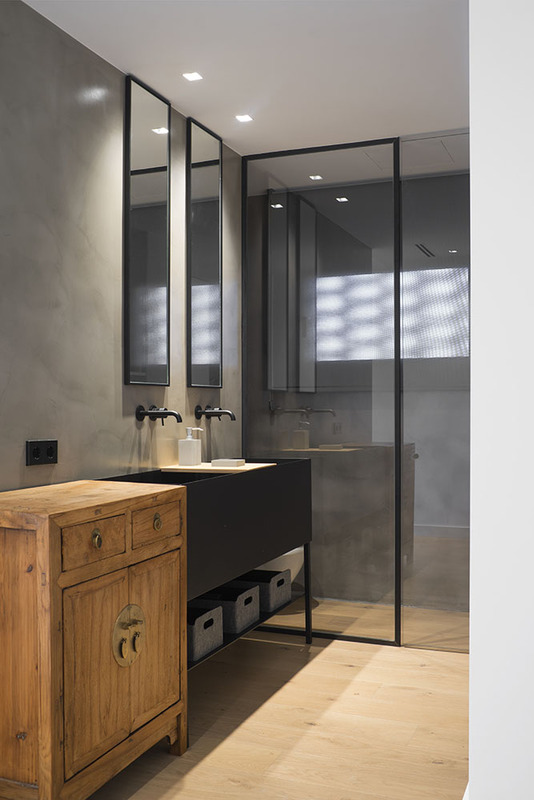 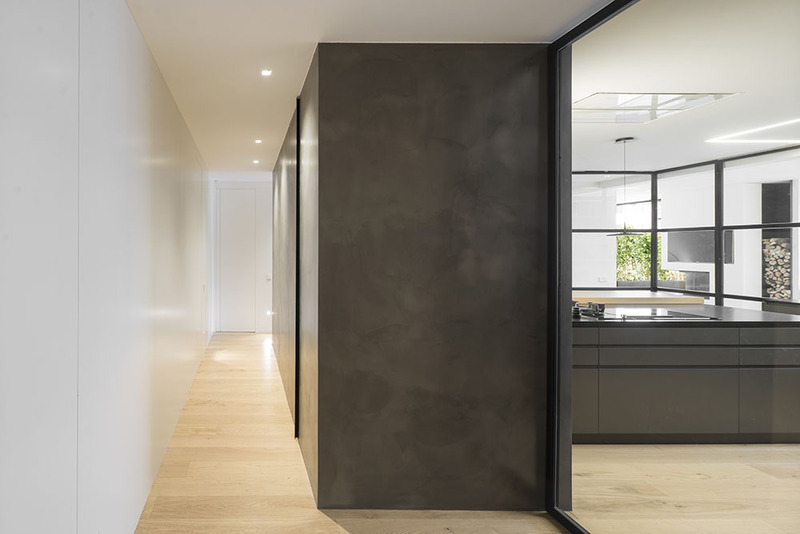 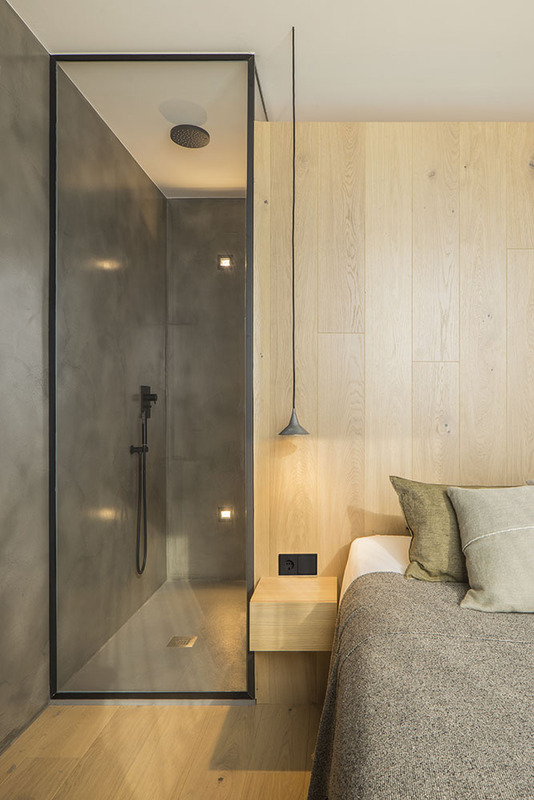 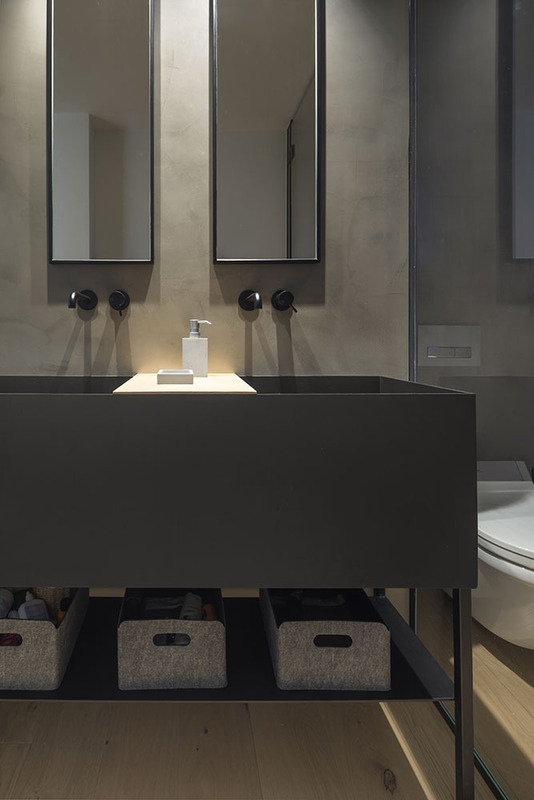 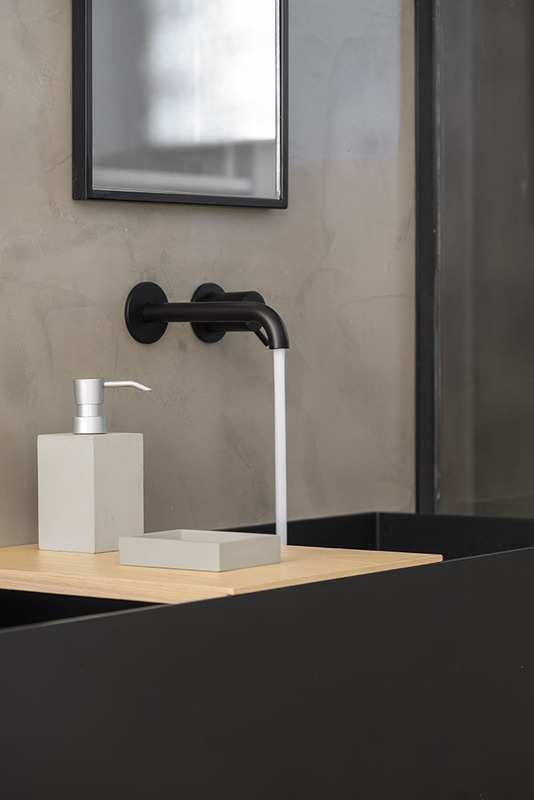 This cube is accompanied by a wet area finished in dark grey microcement that contains, on the one hand, a courtesy toilet and on the other the laundry area.